Please excuse our mess; our site is currently undergoing significant renovations. Residents and Owners can still access the Maintenance Request Form during this process. Welcome to the One Ivy Walk website. One Ivy Walk is a collection of compelling townhomes, some above neighborhood shops and merchants and others stretching along an appealing streetscape. 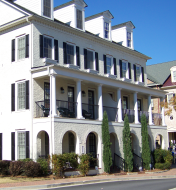 We offer a lifestyle opportunity that is unmatched in the Vinings area. One Ivy Walk is a self-contained destination that affords gated entrances, a lock-and-go lifestyle and first-class amenities. Just outside I-285 on S. Atlanta Road with easy access to I-75 and GA 400, Ivy Walk's prime location puts all areas of Atlanta within reach including downtown, the airport, Buckhead and the great shopping and dining options of Lenox Square and Phipps Plaza. 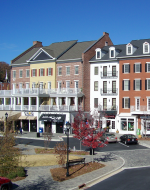 Exceptional local shopping is just minutes away at exclusive Vinings Jubilee and in historic Vinings. This website provides information for buyers, newer residents, and serves as a valuable reference for the community as a whole. Some of this information may be new to individuals who have never lived in a condominium community. It provides supplemental information to the governing documents comprising the Declaration of Condominium and the By-Laws. It does not replace information in the governing documents, which contain important information for both homeowners and renters.